C2S provides custom architectural construction specifications for any project that requires a spec manual. We maintain the latest Unified Facilities Guide Specifications (UFGS), comprised of the master construction specifications for NAVFAC, the Army Corps of Engineers and NASA. Our database also includes the latest master specifications of AIA, CSI, GSA, BOE, plus c2S's self-developed master specs. The sheer enormity and quality of our database enables c2S to write specs with unquestionable authority and accuracy. Our goal is to make it easy for our clients to do business with us from any location by utilizing the latest computer technology to exchange information and minimize their cost. We accept and overcome the most critical constructability reviews with dexterity, and without problems. Hire c2S and see your spec-writing problems go away. 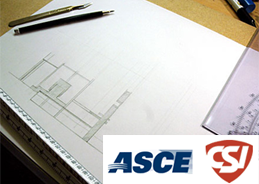 In addition to standard e-mail, we have AutoCad viewing capability. This enables us to review drawing files electronically which saves the Architect time and money. 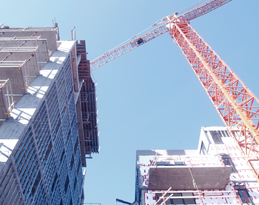 Because we specialize solely in the preparation of construction specifications, we are able to seamlessly integrate with your design team to help meet impossible deadlines cost effectively. We coordinate the specifications provided by other entities such as Architects, Engineers and consultants to create a uniform project manual. Our staff of well trained word processors can serve as your surge protection to help you meet your word processing overloads in a timely and cost-saving manner, utilizing the latest forms of communications, technology, and software. Call us about outsourcing temporary help. Over the years, our word processing capabilites have adapted to and will continually evolve to meet the changing needs of our clients.